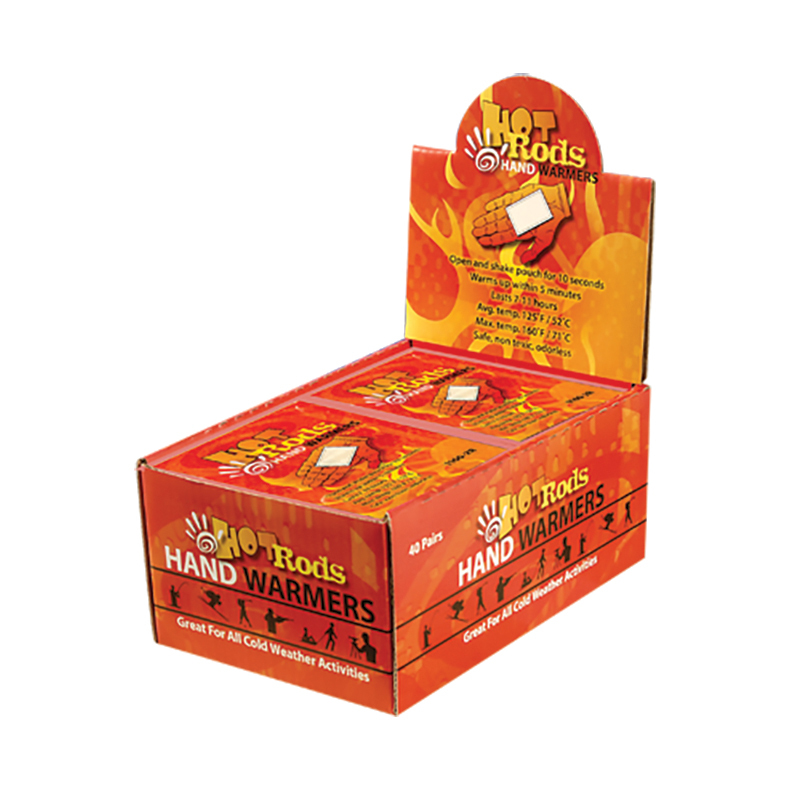 Just five extra minutes of outdoor worktime per day would pay for a pair of warming packs. Lasts up to 8 hours with an average temperature of 120°F/49°C. They literally run on air. Open, and shake pouch for 10 seconds to activate, Safe, non-toxic and odorless. 40 pair per box.